Mirrors start off as melted glass—and big mirrors need an appropriately large oven to cast properly. It takes a full year to cast segments of the mirrors used to build the Giant Magellan Telescope, and the melting process is elaborate and hypnotic. The GMT will be an enormous ground-based in the Atacama Desert, Chile. Scheduled to be completed in 2024, the GMT will consist of seven 8.4 m (27.6 ft) diameter primary mirrors. Four have already been cast in Richard F. Caris Mirror Lab at University of Arizona. 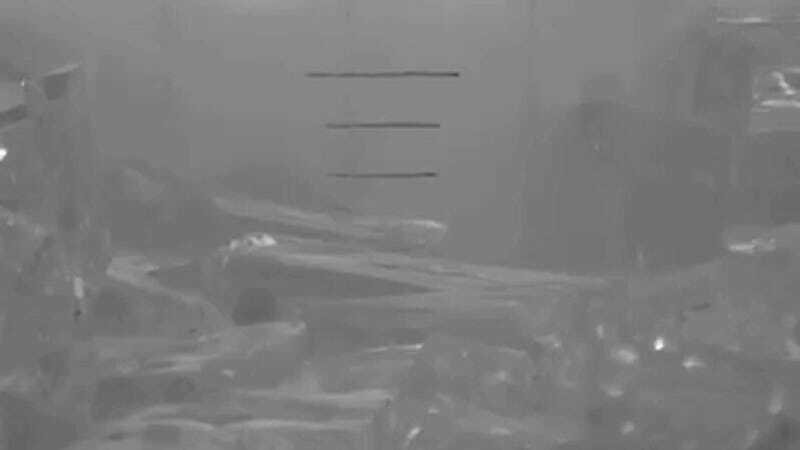 The Giant Magellan Telescope Organization released the following time lapse video, showing the GMT’s fourth mirror melting, captured from inside the oven. The GMT aims to discover Earth-like planets around nearby stars and the tiny distortions that black holes cause in the light from distant stars and galaxies. It will reveal the faintest objects ever seen in space, including extremely distant and ancient galaxies, the light from which has been travelling to Earth since shortly after the Big Bang, 13.8 billion years ago. The telescope will be built at the Carnegie Institution for Science’s Las Campanas Observatory in the dry, clear air of Chile’s Atacama Desert, in a dome 22 stories high. GMT is expected to see first light in 2021 and be fully operational by 2024. The telescope’s 25.4-meter (82 feet) primary mirror will comprise seven separate 8.4-meter (27 feet) diameter segments. Each mirror segment weighs 17 tons and takes one year to cast and cool, followed by more than three years of surface generation and meticulous polishing at the Richard F. Caris Mirror Lab of the Steward Observatory of the University of Arizona in Tucson, Ariz. Funding for the project comes from the partner institutions, governments and private donors.